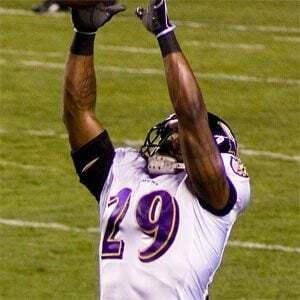 NFL safety who was a sixth round draft pick of the Ravens in 2006. He then went on to play for the Packers, Giants, Patriots and Bears. He was the Gatorade Player of the Year at Thomas Jefferson High School before committing to play college football at the University of Wyoming. He won Super Bowl XLV as a member of the Giants and Super Bowl XLVI as a member of the Packers. He was raised in a single-parent home in Westminster, Colorado. He was signed by the Bears in 2013, after an injury to starting safety Charles Tillman .